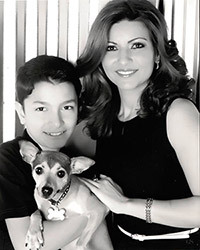 Originally from Damascus, Syria, Dr. Kadamani attended the Loma Linda University School of Dentistry in California and has more than 18 years of experience in her field. She is an active member in a number of prestigious organizations, including the American Dental Association and Texas Dental Association. Dr. Kadamani is deeply dedicated to staying current and proficient with leading-edge dentistry, which allows her to better help her patients achieve and maintain the highest standard possible in oral health. Her philosophy rests on individualized attention and a sincere commitment to her patients’ wellbeing. She complements this philosophy with a firm belief in patient education and preventive dentistry, and truly appreciates the fact that so many of her patients are referred to our practice by their families, coworkers, and friends. 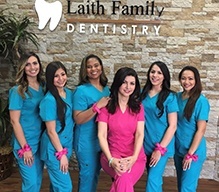 When she’s not providing her patients with exceptional care at the office, Dr. Kadamani enjoys painting, sports, and spending quality time with her family, especially her wonderful son, Laith.